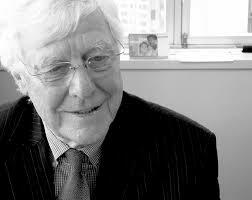 Dr. Alex Boraine, founder of the ICTJ, was larger than life. In his long career, he touched the lives of thousands in his beloved South Africa and around the world. While a product of privileged white, middle class South Africa he soon recognized the evils of Apartheid and spent decades working to dismantle it. He was ordained as a Methodist minister in 1956 and became the youngest-ever president of the Methodist Church of Southern Africa. He entered politics in the 1970s becoming an MP for the small liberal opposition party, the Progressive Party. He resigned in 1986 in order to protest the whites-only Parliament and, together with Frederik van Zyl Slabbert, founded the Institute for Democratic Alternatives for South Africa, which sought to promote democracy and reached out to the banned political organisations. Boraine played an instrumental role in establishing South Africa’s ground-breaking Truth and Reconciliation Commission (TRC) and served as its deputy chairperson. While he was a strong believer in the powers of healing and reconciliation, he was uncompromising in his search for the truth behind apartheid-era atrocities. Following the TRC’s closure, he recognized the need for a global organisation that could assist countries emerging from violence and conflict to redress the past, support victims, and rebuild institutions to ensure the non-repetition of violence. Leveraging his experience in South Africa, he established the ICTJ in 2001, which has advanced and promoted transitional justice processes in countries around the world. South Africa’s truth and reconciliation design…required the sacrifice of the fundamental rights of victims in order to advance national unity and reconciliation. In so doing the State entered into a compact with victims. This compact required the State to take all reasonable steps to prosecute deserving cases in respect of offenders who were not amnestied…. Most victims accepted the necessary and harsh compromises that had to be made in order to cross the historic bridge from apartheid to democracy. They did so on the basis that there would be a genuine follow-up of those offenders who spurned the process and those who did not qualify for amnesty. This part of South Africa’s historic pledge with victims has not been kept. The failure or refusal of the authorities to pursue the cases from the past is a betrayal of what victims of Apartheid struggled and died for. Above all, the abandonment of the TRC cases stands as a betrayal of all South Africans who embraced the spirit of truth and reconciliation in order to move beyond the bitterness of the past. Boraine will be remembered and missed by his colleagues at the ICTJ and by many others around the world yearning for peace and justice.